Are you hearing all about strategy groups, but unsure of how to start them? Do you wonder if they are right for your classroom? Hint: they probably are. Keep reading to see how I run strategy groups in my classroom. 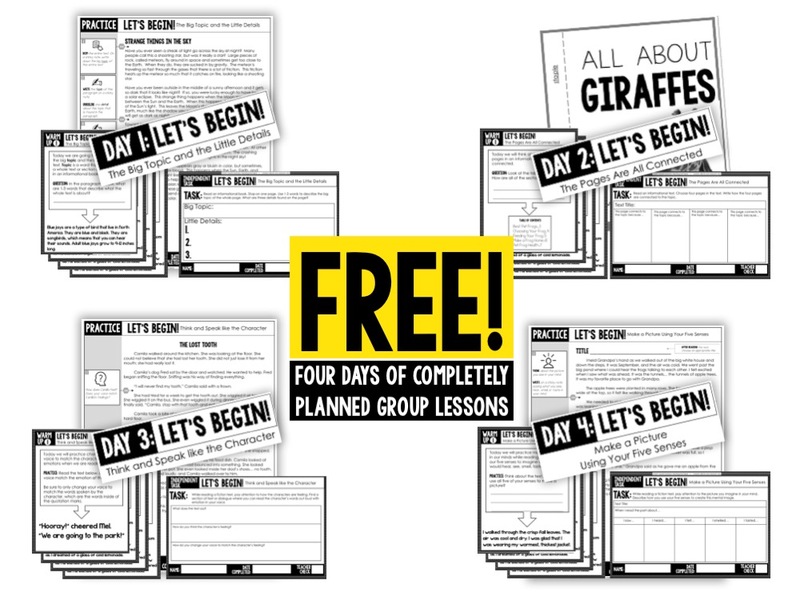 Before we get into all of the details of HOW I lead strategy groups in my classroom, you should download the FOUR free strategy lessons that I’ve created to go along with this blog post. This set of materials would be best in a 2nd-4th grade classroom and they can be used at any time of the year. Just fill in the boxes below and your FREE DOWNLOAD will be sent to your e-mail right away. 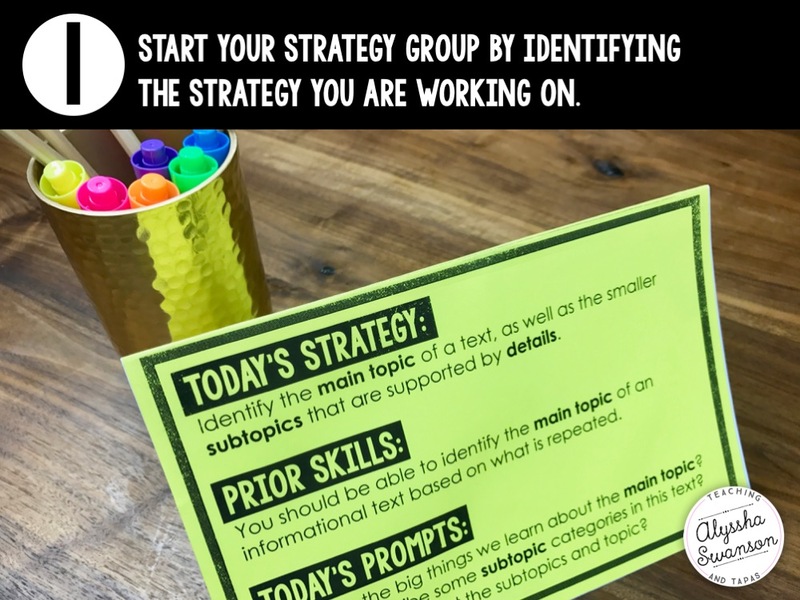 Then come on back to read the rest of this post to get started on implementing strategy groups in your classroom! Yes. 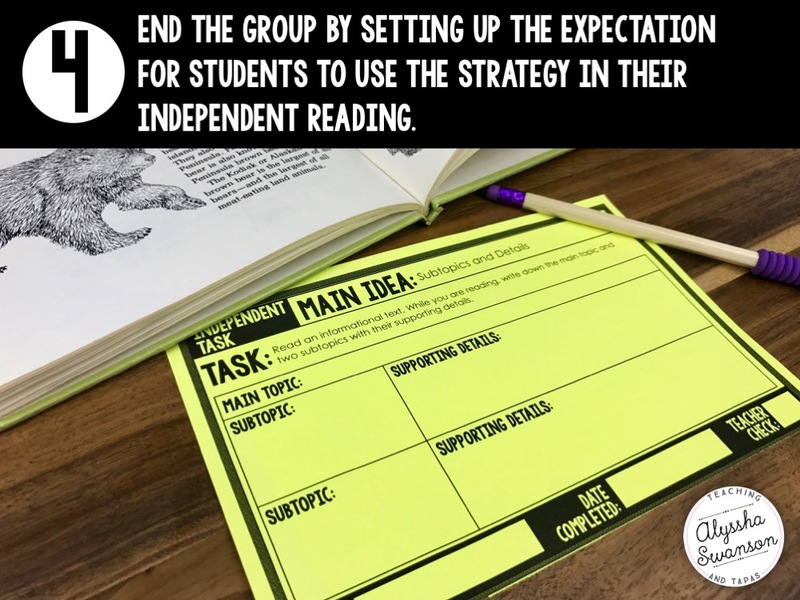 Strategy groups rely on teaching your students a reading strategy that they can and will use while independently reading. This type of grouping is not strictly confined to the student’s reading level. 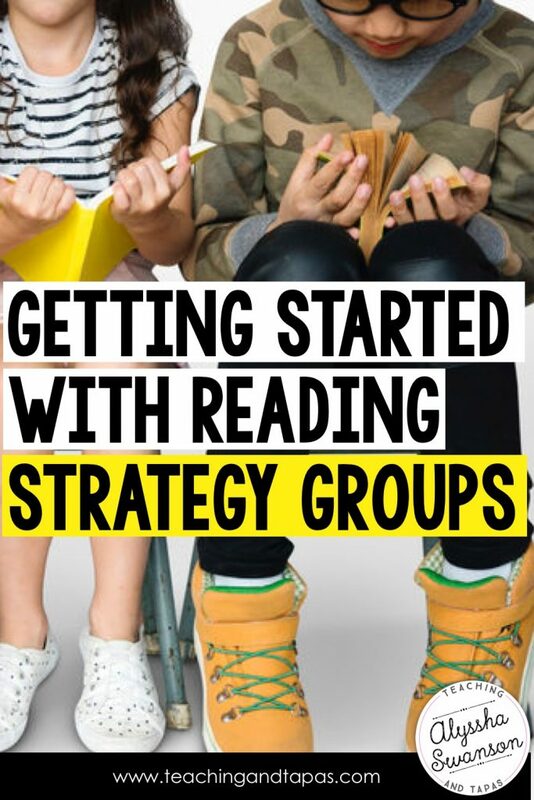 Strategy groupings should be flexible so that we can get far, far away from kids who identify as a level, such as “I’m in the purple reading group” or “I am supposed to read level M books.” The student make-up of your groups is flexible and changing. 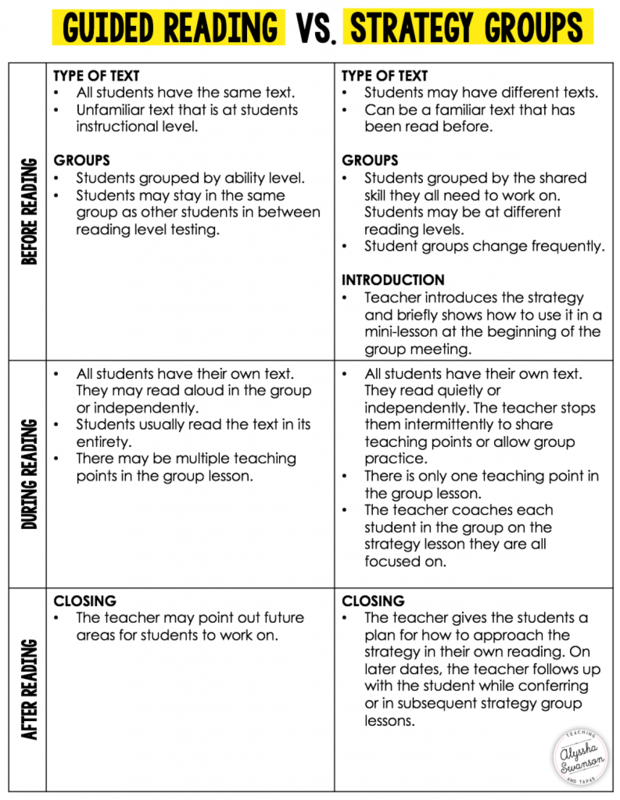 YOUR STRATEGY GROUPINGS CHANGE BASED ON WHAT EACH STUDENT NEEDS. Strategy groups rely on you knowing what your individual students need to work on. Do you have a few students who read like robots? Let’s work on it together in a strategy group. 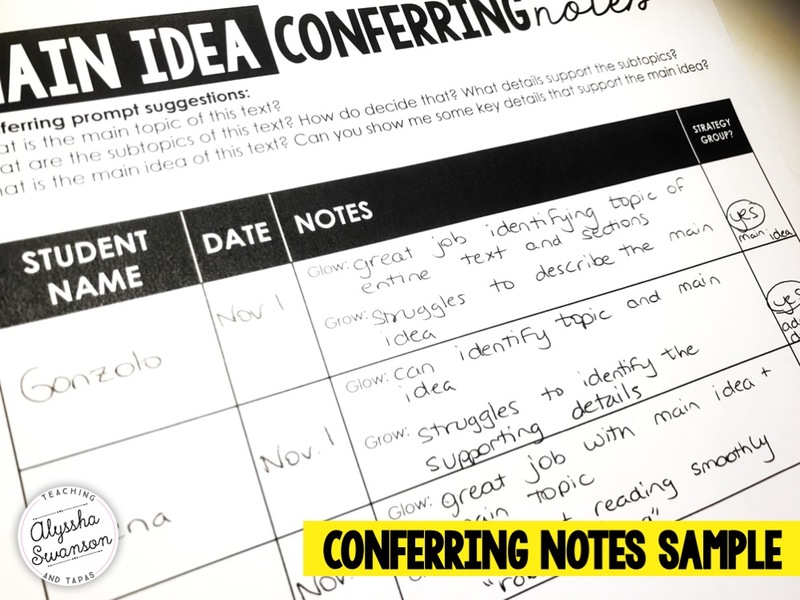 Do you have a group of students who struggle identifying the main idea of a text? Let’s work on it in a strategy group. Do you have students who are ready to start describing theme? Let’s work on it in a strategy group. YOUR GOAL IS FOR THE LESSONS TO TRANSFER TO INDEPENDENT READING. The purpose of a strategy group is to teach a comprehension strategy, not check on a student’s level of comprehension. The strategy group is the first part of your lesson. You must continue the lesson by following up with your students. After the strategy group lesson, is the student applying the strategy in their independent reading? To remember what each student is working on to become a stronger reader. To make groups of students who need to work on similar strategies. These notes lead to my strategy groups. In my classroom, I teach a group lesson everyday. For two days of the week, I confer with students after the group lesson. While conferring, I check in with students to see where they are in their learning. I take notes of the types of instruction each student needs next. I use this information to form my strategy groups. Overall, I am flexible. On some weeks, I spend more time on conferring, and some weeks I spend more time on strategy groups. To start your strategy groups, put students together into a group that all need help with the same skill. Unlike guided reading groups, the kids in each group do not all need to be at the exact same reading level. Instead, they are grouped by strategy need. You can begin your strategy groups at any time of year. You decide who goes into each group based on your conferring notes. Your group size can range from 2-6 students. Getting much larger than that becomes difficult to give individualized instruction. Be explicit with your students and NAME the strategy. Explain how you use it and what you expect each student to be able to do. I start my strategy groups by reminding students of related prior skills that may be helpful. This not only helps them see the importance of the skills they have learned in the past, but it also refreshes their memory. 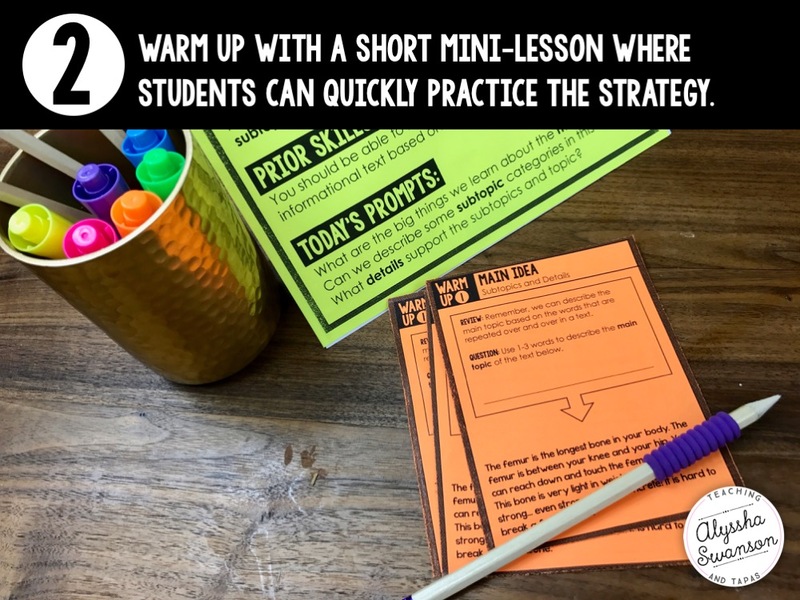 I start each strategy lesson with a short mini-lesson. It should be brief (2-5 minutes). If you are working on a strategy that uses prior skills, incorporate those prior skills into the mini-lesson so that the students are all fully prepared to go to the next level. Use this time to give your most guided instruction. Remember, a strategy lesson is not the time to “check” student understanding. That should have happened before the group was made. Use your strategy group time to TEACH. After your warm-up, it is time to delve into your strategy group lesson. 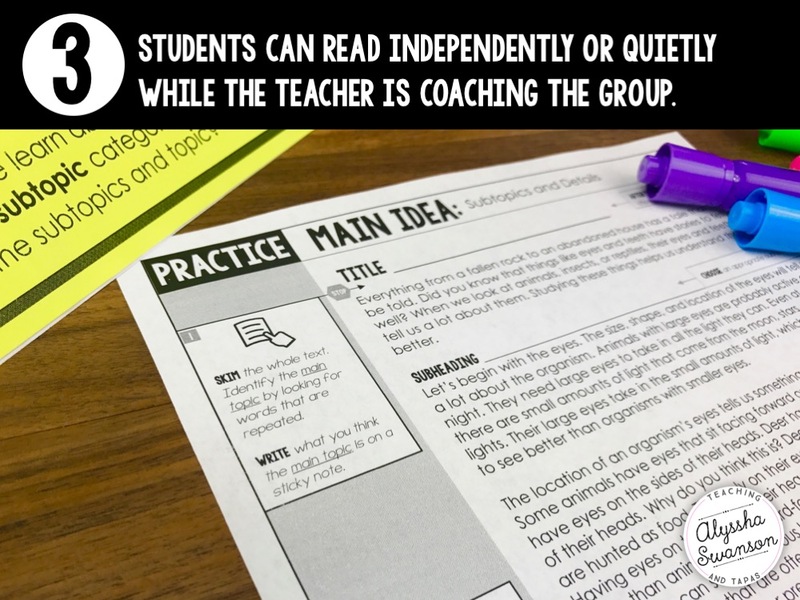 While sitting in the group, students will be reading independently or quietly while you coach each group member. You may stop them all intermittently to give a shared teaching point. If you are working with a small group (fewer than 4 students), you may be able to sit in one spot and still keep a good gauge of the group. If your group is larger, or you don’t feel like you are completely aware of how each student is doing in the group, get up and walk around to each student. Listen to them read. Guide them as they practice the strategy. I have created a set of strategy group materials that include stopping points for discussion, student reflection, and group practice. If you are doing this on your own, I suggest planning your lesson’s teaching points ahead of time. The materials I’ve created, are completely planned out. You just need to print and go. After a 15-20 minute group practice, you will let the students go to. Give them a task that holds them accountable to the skill you worked on in the lesson. This may be the most important step. 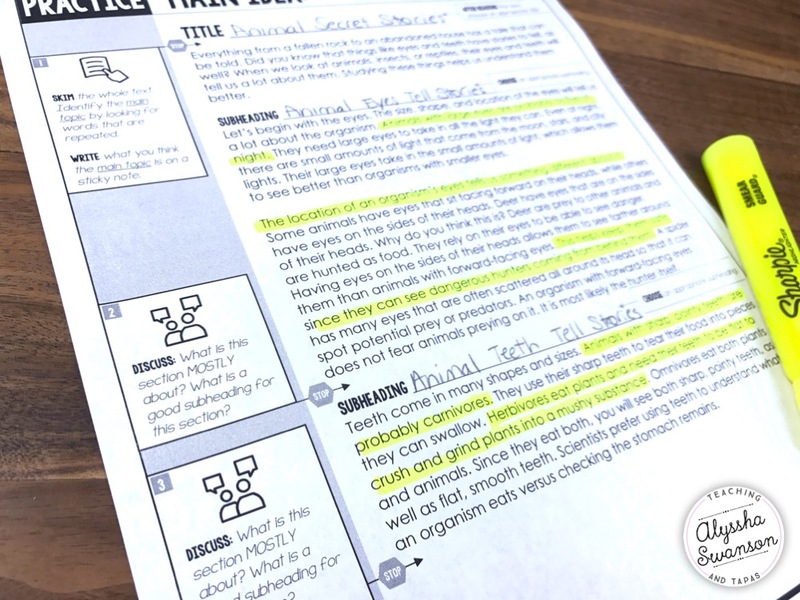 You want your students using the strategy in their own independent reading. This is how you are going to make a class full of super strong readers! Follow up is critical. You may follow up while conferring, by checking the student’s reading notebook or assigned tasks, or in a future related strategy group.